I guess it's pretty much assumed that I think you should only buy and/or eat organic everything. In an effort to keep my toxic exposure low, vote with my dollars, support organic farmers and avoid undue environmental damage, yes, I do try to buy and consume as much organic food as possible. However, I live in the real world where money can be tight and being a choosy and discerning consumer is necessary to get by. 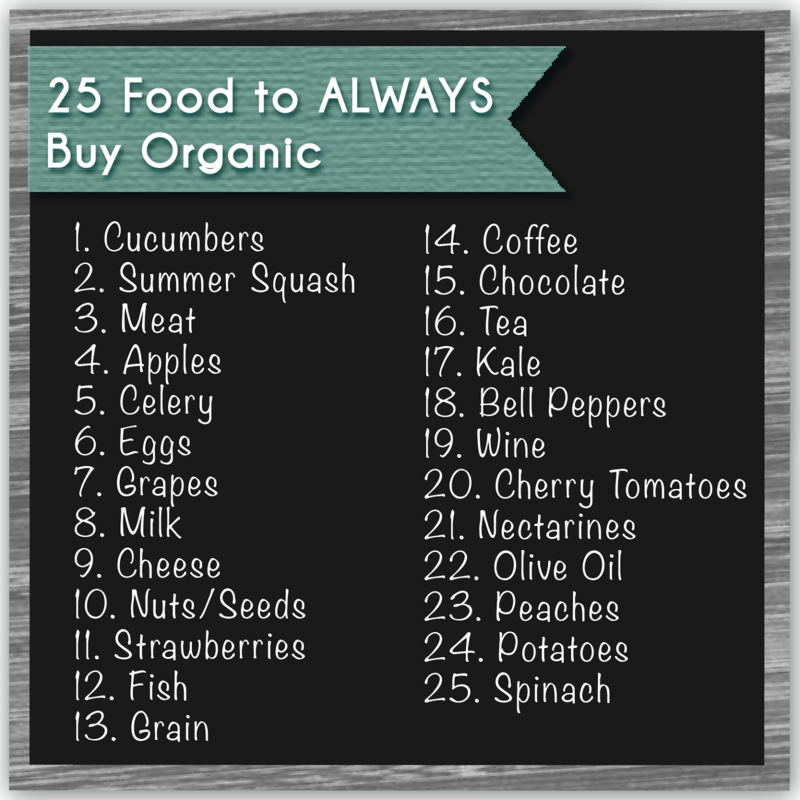 For this reason, I present you with 25 foods you should ALWAYS buy organic to help you prioritize, budget and meal plan! 1.) The findings presented by the USDA's Pesticide Data Program and analyzed by the Environmental Working Group are based on pesticide residues identified after the produce had been washed. I think it is extremely important to take that into consideration as you scroll through this list and notice just how high some of the pesticide residue quantities were. Many people believe washing their fruit removed the threat of toxicity, however this is just not the case. Conventional farming lends itself to heavy spraying practices. These foods are living things that absorb the chemicals they are doused with. Just as our cells, tissues and organs are made up from the foods we eat and the substances we're exposed to, so too are these foods. In many cases, chemicals become a part of the food and as a result, are not removed by washing. 2.) This list could really be much longer with this inclusion of Genetically Modified Organisms. I refrained from going too much into GMO crops in this post for a number of reasons though and I will post soon about the dangers of GMOs and how to avoid them. While a few GMO crops do appear in this list, both directly and indirectly, I also want to mention that corn, papaya, wheat, cotton, sugar beets (used to produce cheap sugar), aspartame (produced from genetically engineered bacteria), soy and canola should also be avoided unless they are organic or Non-GMO certified. 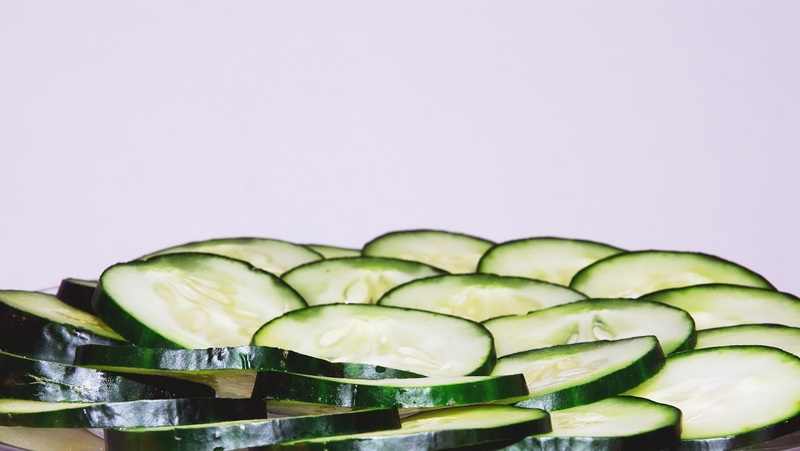 Cucumbers are swarming with 35 different pesticide residues, including 9 known or probable carcinogens, 25 suspected hormone disruptors (Twenty-Five!!!! ), 12 neurotoxins and 9 developmental or reproductive toxins. One of the most present residues is that of Endosulfan which is known to be extremely neurotoxic to humans. In fact, our own government agencies classify Endosulfan as "Highly Acutely Toxic". It has been linked to hyperactivity, tremorys, lack of coordination, difficulty breathing, nauseua, diarreah, among others. I find organic cucmbers to be a bit pricier than the conventional type but it I hope after reading these statistics you see the value in it. If you cannot afford the organic type, I recommend swapping cucumbers for the more affordable organic celery and carrots or snap peas and asparagus which are safe to buy conventionally. Summer squash like zucchini and it's yellow counterpart, bring with them a double dose of danger. 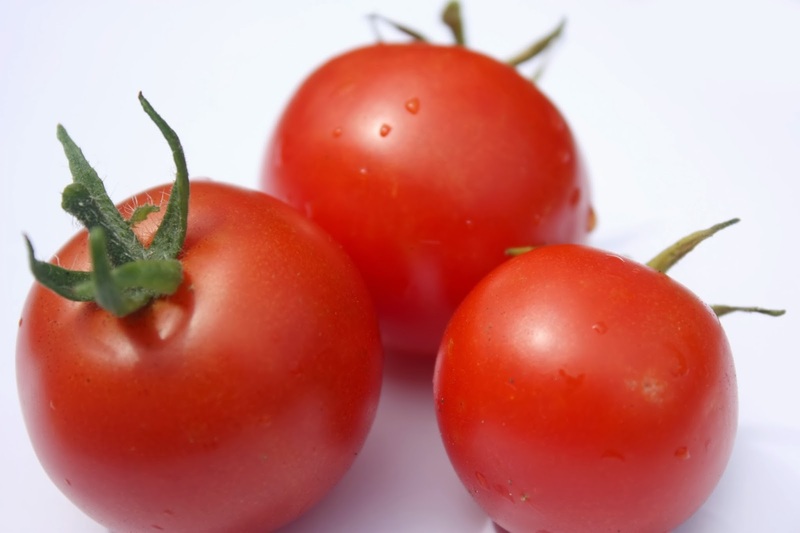 Not only do they show traces of 41 different pesticide residue, but they are also one of the most genetically modified food crops. Of the pesticides contaminating this summer staple, 8 are carcinogens, 17 are hormone disruptors, 9 are neurotoxins and 7 are developmental or reproductive toxins. Some of the worst offenders include Endosulfan sulfate, Endosulfan I, Endosulfan II and Imidacloprid. While they present similar dangers as those fruits and vegetables we discussed that also were heavily toxic, perhaps more attention should be paid tot he genetically modified nature of these crops. GMO summer squash was approved as food by the USA in 1997. Since then, without label or much to-do, it has creeped into our supermarkets. There is no evidence than GMO foods are safe for consumption. In fact, there has been little to no testing done by our government or its regulatory agencies. What testing has been done by independent professionals and groups has shown nothing by negative, damaging effects. It is my opinion that GMO food should be avoided at all costs as it has been scientifically, chemically and genetically altered away from the way it naturally occurs, in order to yield characteristics deemed beneficial (read: profitable) by major corporations. Some of these characteristics include the ability to withstand chemical exposure, which has resulted in an insane increase in chemical use (since they no longer need to worry about the chemicals affecting the crop) and as a result we the consumer are ingesting more chemicals than ever. Another common characteristic they artificially create through genetic engineering is the ability of a a crop to produce its own pesticide from within its own cells. 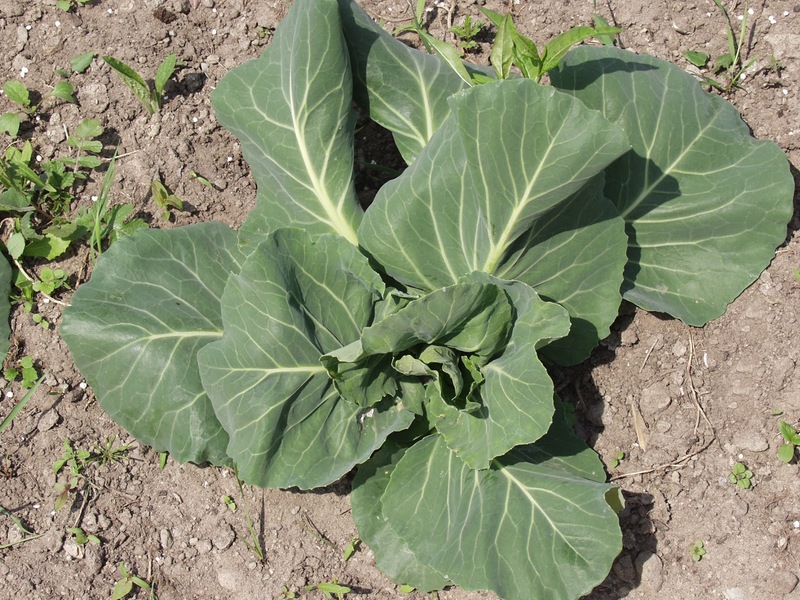 That means while the may not spray a certain pesticide, the crop itself is producing it from within each of its cells. Then we consume that crop, self-made pesticide and all. This is just terrifying, not to mention, dangerous and poorly studied. For more information about genetically modified crops, I recommend some resources at the bottle of the page. It is my recommendation that you purchase ONLY organic summer squash and avoid all GMO foods. 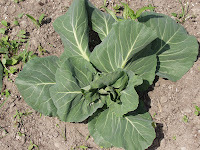 I've touched in this many times, most recently in the post titled "Why Going Organic May Be Your Weightloss Solution". Meats, including chickens, beef, lamb, pork, duck and turkey, especially the fattier cuts, should always be purchased organic. Conventionally raised animals are housed in unsanitary conditions in CAFOs, where disease spreads like wildfire, antibiotics and hormones are administered regularly and GMO feed is their "new natural". The animals, just like us, are what they eat. 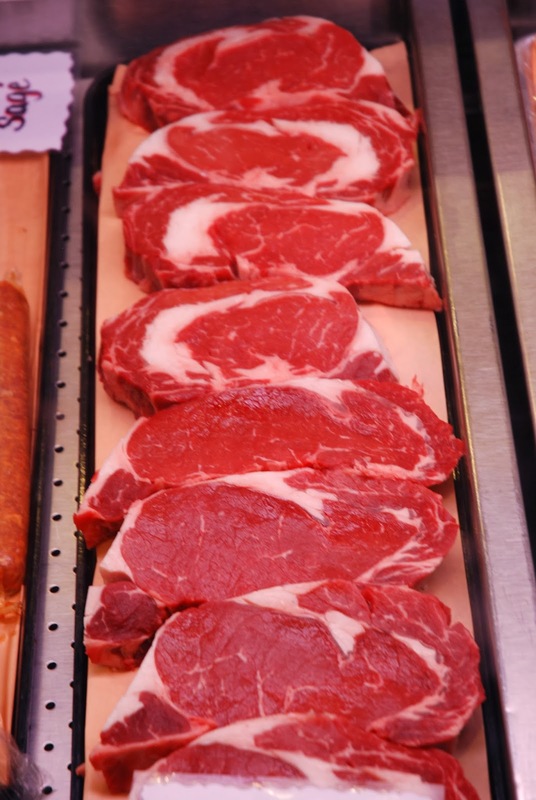 As a result our meats are contaminated with synthetic hormones, antibiotics and GMOs. This unnatural lifestyle yields sub-optimal nutritional profiles in the animals' meats. It has been shown that there is pound for pound less protein, less vitamins, less nutrients and many many many more toxic elements in conventionally raised meat than there is in organic, pastured, grass-fed animal meats. This contamination is causing nutritional deficiencies, infertility, early puberty and antibiotic resistance, to name a few. While many organic sustainable farms do exist, there are a great number that have not sought the USDA-Organic certification. Choose a local farm that employed sustainable, ethical, natural practices in raising their animals. Whole Foods carries a greater variety of grass-fed meats. Another great resource is EatWild.com where you can locate local sustainable farms that sell their meats. Bison is another great option as its production is heavily regulated and does not allow the use of these toxic practices. 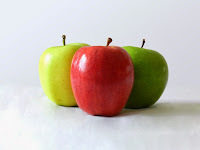 Apples can contain up to 42 different pesticide residues including 7 probable or known carcinogens 19 suspected hormone disruptors, 10 neurotoxins, and 6 developmental or reproductive toxins. Read more about the dangers of conventional apples in the Veggie Chronicles here. 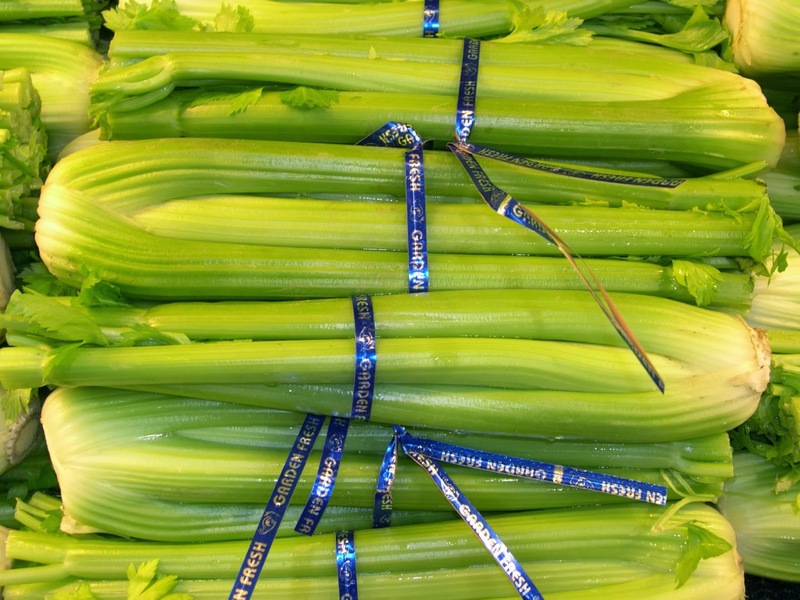 Celery is one of the dirtiest vegetables you can buy. Conventionally grown celery can contain up to 64 different pesticide residues according to the USDA Pesticide Data Program. Of the 64, 13 are known or probable carcinogens, 31 are suspected hormone disruptors, 12 are neurotoxins, and 14 are developmental or reproductive toxins. Unless you're sure it's organic, I would think twice before snacking on this low-cal veggie tray favorite. 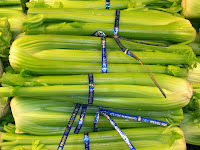 Organic celery is very affordable so make sure to always seek out and purchase this much safer option. Eggs are a bit more complicated. Essentially, the reason to purchase organic eggs remains in line with that of meat, but there are a few more things to consider. You can find "organic" eggs just about anywhere these days. 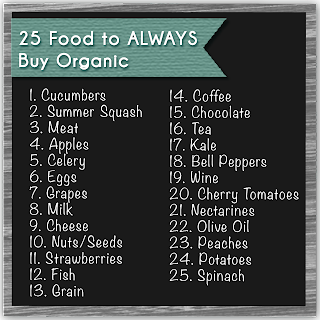 However, organic doesn't seem to mean most healthful anymore (though it is far better than conventional eggs). In this article by Dr. Joseph Mercola, he explains why you should be buying your eggs straight from the farm and not from the grocery store. In addition the reasons discussed in the "Meat" section, mass-produced organic eggs may be washed in chlorine or lye, spend a much longer period of time in "production" between the time their are laid and the time they reach your plate and may not be yielding optimal nutritional value. 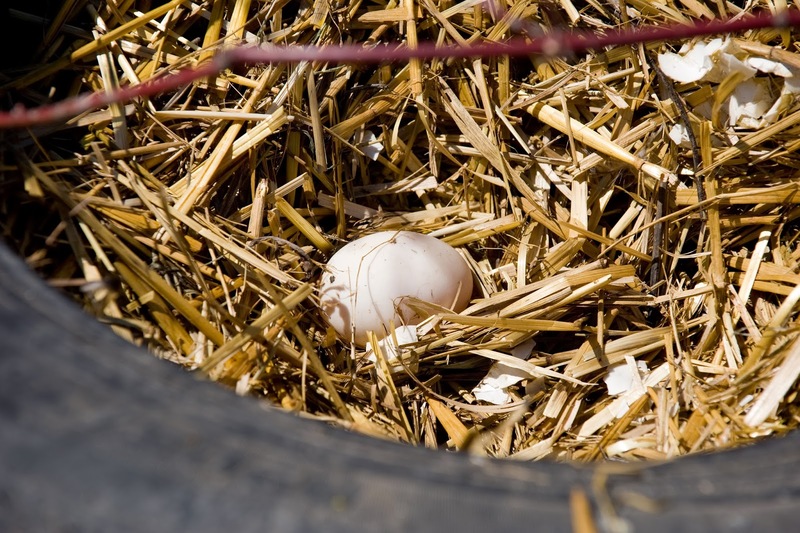 The only way to be sure you're getting the freshest, most nutritionally valuable eggs, void of chlorine or lye, is to locate a local organic farmer who you can trust. EatWild.com can also help you in your search. 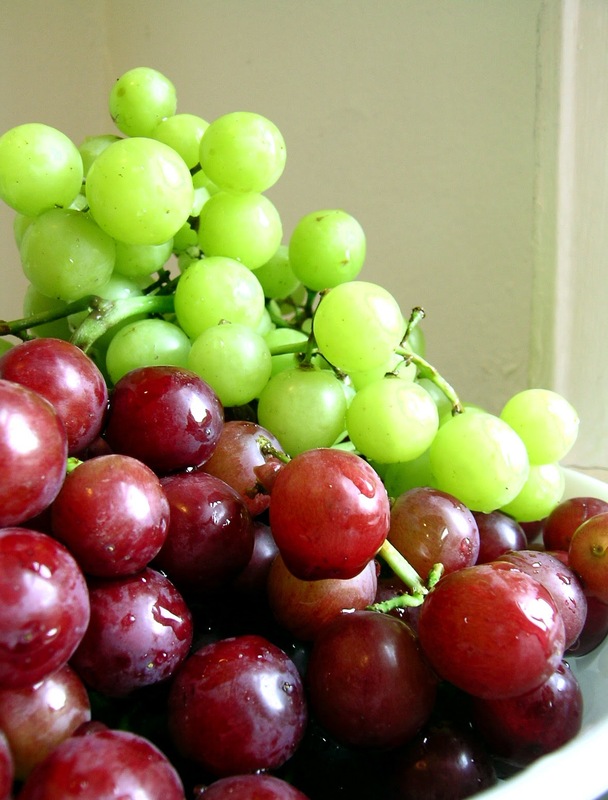 Grapes were found to have a whopping 35 different pesticide residues on and in them. Four of these were known or probable carcinogens, 17 were hormone disruptors, 10 were neurotoxins and 6 were developmental or reproductive toxins. One of the more prevalent, myclobutanil, used heavily on grapes, has been shown to alter reproductive abilities. 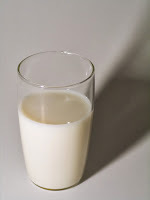 Discussed in greater details in my post on milk, here, milk should ALWAYS be purchased organic. I would even go so far as to say the milk should always be purchased RAW and organic, a recommendation supported by the information presented here in my post about the health decline caused by processing and heating foods like milk. Conventionally raised cows are given large amounts of the synthetic hormone, recombinant bovine somatotropin (rBST) or perhaps better known as recombinant bovine growth hormone (rBGH). This hormone forces cows to lactate more than is natural. This causes their utters to swell and secrete pus (a condition called mastitis) and results in the administration of antibiotics. In fact, 80% of antibiotics in this country are administered to animals, not humans. This produced milk that is full of synthetic hormones, pus, and antibiotics. A 1990 Milkweed article, outlined here, uncovering the effects of rBGH, which include noticeably larger organs, significant reproductive issues, and inconsistent hormone levels. According a study conducted by Dr. Paris Reidhead and published in Milkweed, breast cancer rates for American women increased 55% between 1994, the year rBGH was released into our milk products, and 2002. Since then, the rBGH milk has also been linked to increased level of prostate, breast and colon cancers, and early puberty. What's more is the processing and pasteurization of milk results in a naturally nutrient rich food course becoming nutritionally deficient and "damaged". For these reasons it is extremely important for you to purchase organic milk, especially organic raw milk, to ensure the safest most nutrient dense foods are fueling your body. Organic milk should come from grass-fed cows raised on pasture as they were meant to be, so that your milk is formed the way nature intended. RealMilk.com is a great resource for locating organic and raw milk producers near you. While I could have lumped cheese together with milk, I feel it important to make it very clear that cheese is only "healthy" or safe when it is raw (unpasteurized) and organic. 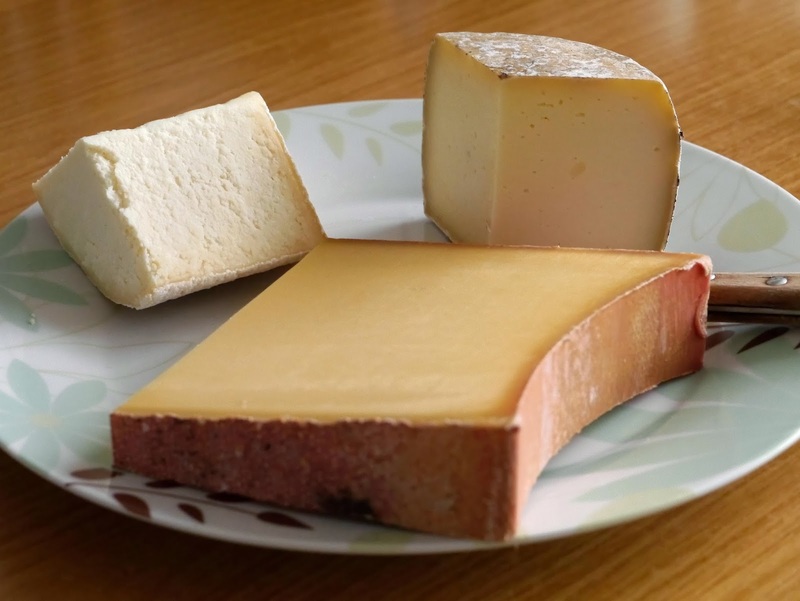 Pasteurized cheese is void of the nutritional benefits associated with dairy products. Non-organic cheese subject you to the same dangers outlined above under "Milk". Seek out raw, organic cheeses whenever possible. Organic Valley has made them ever more widely available with their line of Organic Raw Cheddars and I believe Jack cheeses. RealMilk.com and EatWild.com are great resources for locating local organic cheese producers in your area. Nuts and seeds are known for their great health benefits and being fantastic sources of fats and protein. It is their very fat content however that makes it so important that they be purchased organic. 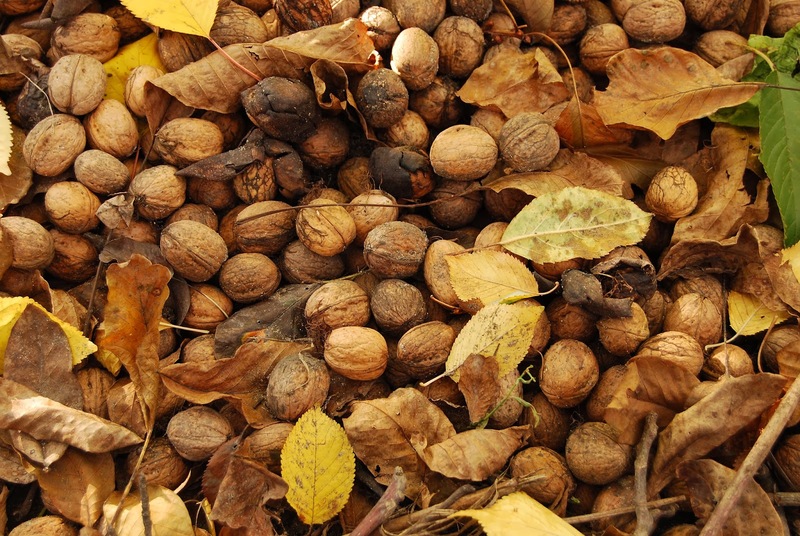 Nuts and seeds are infamous for being heavily sprayed with toxic chemicals to prevent pests from eating the crop. Their oils absorb and retain these toxins, thus exposing them to your body upon ingestion. It is extremely important to purchase only organic nuts and seeds. These are more available than ever thanks to places like Whole Foods where you can buy them in bulk. Peanuts in particular are heavily sprayed with additional fungicides to combat the mold they are susceptible to. So, in addition to purchasing organic nuts, purchase only organic peanut butter. Strawberries bring with them 54 different pesticide residues, including 9 carcinogens, 24 hormone disruptors, 11 neurotoxins and 12 developmental toxins. The most prevalent are Captan, a known caner-causing agent, Boscalid, a possible cancer-causing agent, and myclobutanil, which, as we learned when looking at grapes, has been shown to alter reproductive abilities. Surprisingly, frozen strawberries showed residues of just 15 different pesticides. However, they were some of the most damaging. I certainly recommend purchasing organic strawberries when they are in season and freezing your own for use in the other months. I cannot stress enough the importance of buying ONLY wild-caught fish. "Wild-Caught" is "organic" for me when it comes to seafood. Now, some of you may be in the loop about what's going on in seafood production these days, but I know many of you are not, so let me quickly address the alternative the Wild-Caught that has quickly become the norm. Fish Farming, also known as aquaculture, is the world-wide practice of raising or breeding fish. The practice goes unregulated in many, many parts of the world and often involves forcing fish to live in unnatural, unsanitary environments, eat unnatural diets, and causes not only polluted surrounding but polluted animals as well. It has been exposed many times now that due to this unnatural diet, the vibrant pink color of salmon, which develops as a result of its natural diet, cannot be achieved when farming fish on unnatural corn and soy diets. As a result, guess what they are doing to keep pink salmon in the supermarkets? The are actually feeding fish pellets filled with dye so that their flesh takes on the color you expect when purchasing salmon meat. Truth. Farmed fish is often fed chemicals, growth hormones, antibiotics and a heavily GMO-diet. (Look at your can of tuna next time. Does it say "May contain soy"? Every wonder why?) Farm raised fish are much more likely to be contaminated with PCBs. They are also much less nutritious, yielding lower levels of everything from protein to omega-3's. In 2006, farmed fish made up 47% of the world's supply. While some stores are able to tell you where you fish came from, many cannot as fish from China and fish from the Atlantic may be grouped into a general supply. This makes it very difficult to know where your fish is coming from and what quality of fish you're receiving. For this reason it is extremely important to buy only wild-caught, pole-caught (if possible), fresh fish. When buying canned tuna or salmon, use these same guidelines and seek out BPA-free cans. Grains have overtaken the American diet; and while I see change on the horizon, some people just aren't going to give up their rice, cereals, pastas or breads (though I highly recommend reconsidering...) If you're going to get your grain on, you should make sure you choose organic varieties. While pesticides are more of a concern for some grains like wheat and rice than others, it still remains an issue. Wheat grains for example show residues of 15 different pesticides. One of them, Malathion is present on over 60% of the crop and is a possible cancer-causing agent, a suspected hormone disruptor AND a neurotoxin! Think about that for a second... and then think about the amount of wheat in your diet. Also, it has been proven time and again that crops grown conventionally yield lower-nutrient density and thus bring less nutritional value to your plate and thus your body. If you are going to eat grains, make them as nutritionally dense as possible. You can buy many of your favorite organic grains in bulk at places like Whole Foods and Earth Fare, among others, which helps save a few dimes. Coffee remains near and dear to my heart, despite my recent removal of it from my diet. 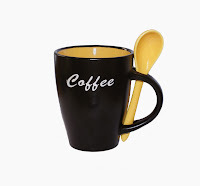 I wrote not long ago about the importance of taking your coffee experience into your hands and making sure you brew the best cup for your body! Most of the coffee consumed in our country was grown outside our country where the USDA does not regulate pesticide use and where local regulation of the chemicals are lax, at best. As a result, bags of beans fill our grocery store shelves and coffeehouses, like Dunkin Donuts and Starbucks, contaminated with a wide range of terribly toxic chemicals. We're talking chemicals that you need to dress like an astronaut while using and that have caused hundreds of deaths, illnesses, cancers, miscarriages and more.The repeated exposure to coffee's contaminants on a daily to weekly basis causes a constant state of toxicity in your blood, cells and especially your tissues. Because the toxins are introduced into your system frequently, your body does not have time to detoxify. Many of these toxins enter the body and are stored in the fat where they sit and contaminate the cells around them, causing those cells to act out of character, which ultimately results in health issues that may surface down the road. To avoid the dangers associated with conventionally grown coffee beans, you want to consume USDA-Certified Organic Fair Trade Coffee and Espresso only. 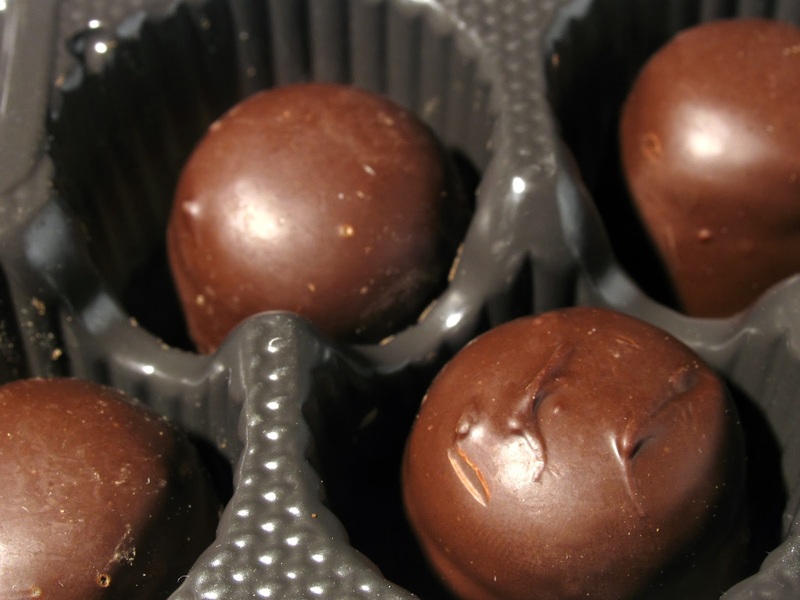 The reasons for purchasing organic chocolate are in line with those of coffee. The United States has no control over the use of pesticides in the countries where our chocolate products are produces. As a result, not only is our favorite any-time treat toxic to our health but the farmers and workers who harvest and produce the sweet stuff are subject to extremely dangerous, sometimes deadly, conditions. For the sake of your health and the health of those that work hard to bring your dark silky smooth dessert to life, choose only USDA-Certified Organic chocolate. This includes cocoa, hot chocolate, mochas, etc. Tea is right there with coffee as being some of the most heavily sprayed crops. Additionally, many non-organic tea companies are adding harmful chemicals and artificial flavors to their teas. Tea has traditionally been used as source of healing and medicine, various herbal teas are also known to improve sleep, energy, circulation, alertness, detoxification, and more. These benefits are lessened or removed completely by the use of toxic pesticides and additives. 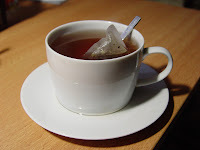 I recommend choosing high quality organic teas from trusted sources. A smoothie-staple these days, Kale deserves particular attention. I see many people purchasing conventionally grown kale as they jump on the green-drink band wagon. Instead of doing your body good though, if you aren't using organic kale, you may be causing quite a bit a harm. Kale was found to have 55 different pesticide residues. Nine of these are carcinogenic, 27 hormone-disruptive, 10 neurotoxic and 10 developmentally or reproductively toxic. Some of the most widespread include DCPA (Dimethyl tetrachloroterephthalate), a possibly carcinogenic chemical and DDE (dichlorodiphenyldichloroethylene), a known carcinogen, hormone disruptor AND developmental/reproductive toxin! DCPA can cause gastrointestinal irritation, central nervous system depression and hypotension, as well as adverse affects to adrenal glands, kidneys, liver and thyroid. There are studies showing DCPA resulting in the growth of tumors in animals, and while conflicting studies exist, DCPA's safety is considered questionable as many tests and studies remain incomplete or invalid. The main area of concern with DCPA are two contaminating compounds that come along with it, 2,3,7,8-TCDD and hexachlorobenzene which are carcinogenic, cause reproductive dysfunction and accumulate in the body. DDE is a relative of the horrific DDT, which should say plenty, and is recognized as a carcinogen by the California Prop 65. Please only purchase organic Kale. It is becoming much more widely available and is very affordable. 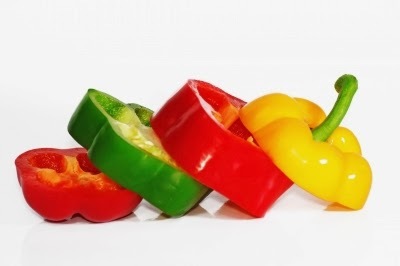 According to the USDA Pesticide Data Program's findings, sweet bell peppers carry residue from 49 different pesticides. 11 are carcinogenic, 26 or hormone disruptive, 13 are neurotoxic and 10 are developmentally or reproductively toxic. Methamidophos, a neurotoxin present on 33.8% of all conventionally grown bell peppers is nothing you want to mess with. Methamidophos is highly toxic and has been shown to severely decrease sperm levels in men, disrupt the normal functioning of nerve impulses, cause incoordination, tremors, sweating, tearing, tightness in chest, fluid in lungs, and more. The World Health Organization categorizes it as "Class 1b, Highly Hazardous" and while it remains in use in many develop nations, it is being phased out in Brazil due to its toxicity. 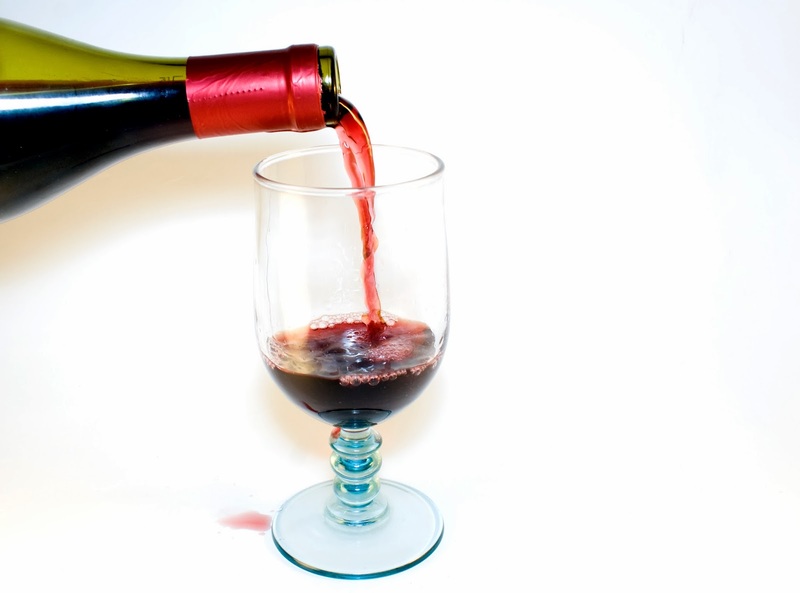 Wine, as we all know, is made from grapes. Grapes are one of the most chemically-contaminated crops, carrying with them residues of 35 different toxic pesticides. According to some statistics put out by Cornell, there are roughly 700 grapes in each bottle of wine. Thats quite the concentration of pesticide contamination! 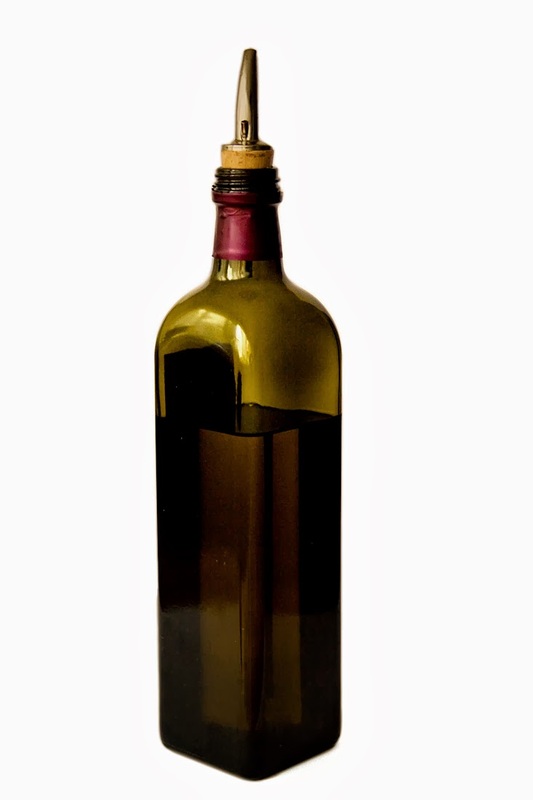 Additionally, organic wines have been shown to contain much fewer or even zero sulfites as compared to traditional wines. You can purchase organic wines online, at many Whole Foods store and I have even noticed the selection of organic wines growing in state stores! If you enjoy a glass of wine now and then, whether socially or for it's health benefits, choose the best option for your health and body (and for the earth). Nectarines bring with them the residue of 33 different pesticides. Of these 33, 7 are known or probable carcinogens, 19 suspected hormone disruptors, 9 neurotoxins and 6 developmental or reproductive toxins. Over 50% of nectarines contain formetanate hydrochloride, a known neurotoxin. Formetanate hydrochloride has "high acute toxicity" when ingested orally, as it would be while eating a nectarine. This toxin can cause excessive salivation, wheezing, labored breathing, trembling, vomiting, and coughing. Seek out organic nectarines when in season. You may recall a few years ago hearing about the mob-involved olive oil scandal that, as was exposed in Tom Mueller's Extra Virginity: The Sublime and Scandalous World of Olive Oil, involved the ripping off of extra-virgin olive oil loyals and lovers worldwide. Apparently for years the good stuff was being water down and cut with low-quality, damaged and sometimes rancid oils. This has been reason enough for me to use only organic olive oils as any product carrying the USDA Organic seal undergoes a pretty involved approval process. 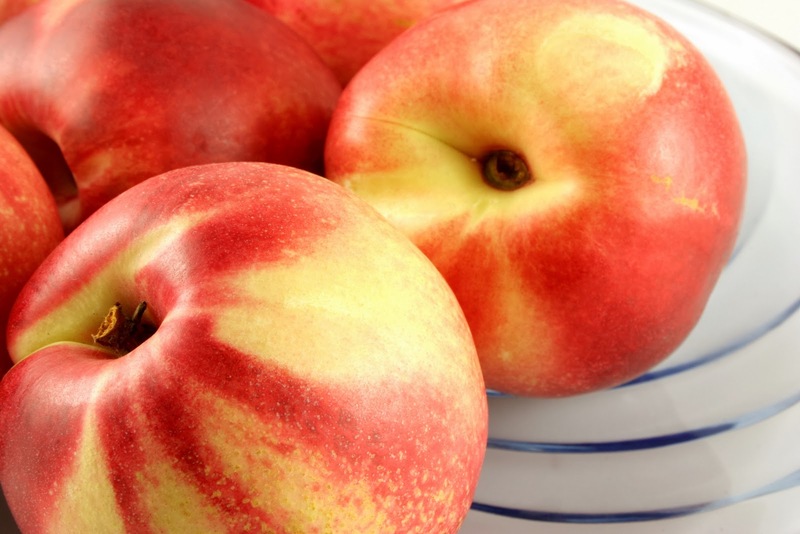 According to USDA's most recent sampling, peaches were contaminated by residue from 62 different pesticides. Of the 62, 10 are known or probable carcinogens (cancer causers), 29 are suspected hormone disruptors, 12 are neurotoxins, 11 are developmental or reproductive toxins. In regards to their environmental impact, 25 of these pesticide residues are toxic to the critically important, but increasingly threatened honeybee. Organic peaches, on the other hand, exhibited a 0% chance of pesticide residue. 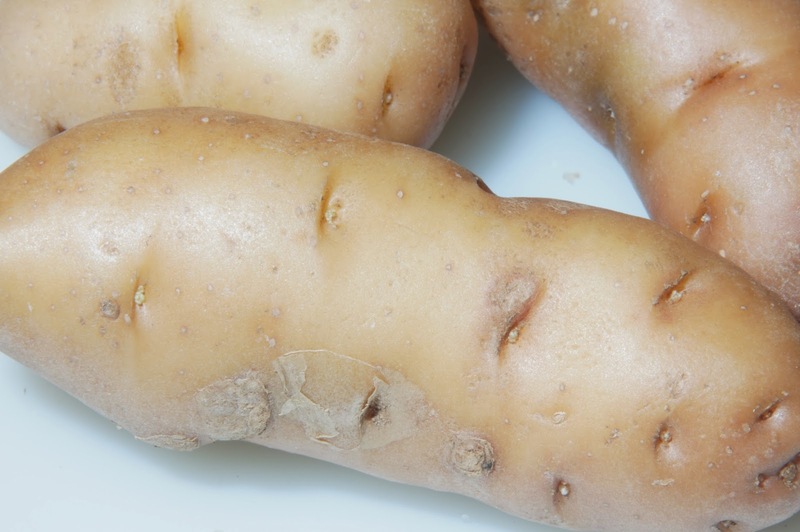 Thirty-seven different pesticide residues were found on conventionally grown potatoes (excluding sweet potatoes). Seven are known or probable carcinogens, 12 are suspected hormone disruptors, 9 are neurotoxins and 6 are developmental or reproductive toxins. One of the nastiest of the bunch is o-phenylphenol, a known carcinogen, suspected hormone disruptor and developmental/reproductive toxin. The Hyperactive Children's Support Group recommend eliminating this substance from the diet of children, especially those who exhibit signs of hyperactivity. This study that I found on the EPA's website, details the growth of urinary bladder tumors after the ingestion of this chemical. It can also cause redness of the eyes and skin, abdominal cramps and pain, coughing and labored breathing. Always, always, always purchase organic potatoes. If you cannot locate or afford organic potatoes, choose sweet potatoes instead as they are considered part of the "Clean 15", a list of produce that contains little or no pesticide risk or produce that has natural barriers to toxicity. Spinach is a pretty dirty crop, showing traces of 48 different pesticide residues, according to the USDA Pesticide Data Program, 8 of which are known or probable carcinogens, TWENTY-FIVE of which are hormone disruptors, 8 neurotoxins and 6 developmental or reproductive toxins. The 25 different hormone disruptors found really upsets and concerns me, especially with the rate of hormone-disruption-related issues that are on the rise in our culture, like hormone imbalances, libido dysfunction, reproductive issues, infertility, early puberty, obesity and more. Permethrin Total, Permethrin Trans, Permethrin Cis and DDE are four different hormone disrupting pesticides that were each present, separately, on between 35% and 50% of all spinach crops. Talk about taking a super food and making it super dangerous! Organic spinach is becoming more and more widely available. While I recommend first seeking out a local farmer as your course, I have seen the pre-washed Earthbound Farms Organic baby spinach in grocery stores in remote areas. So, I know its available. I've seen it shelved separate from the conventional pre-washed lettuces so please look around or ask your grocer for help! Organic spinach is the only way to go. The Environmental Working Group has analyzed the data collected by the USDA's Pesticide Data Program. According to the EWG's analysis of the data, these 14 foods are OK to purchase sans Organic seal, as they presented the least amount of pesticide residue and toxicity. Keep it Real and Keep it Organic and Keep Yourselves Healthy!